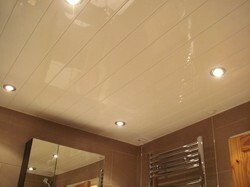 Our product range includes a wide range of pvc ceiling panel. Polyvinyl Chloride Ceiling Panels are used for decorative ceilings and looks good in designing of spaces. Enquire with us now ! !